When his young son is seriously injured, Straker faces a dilemma as a potential alien landing occurs at the same time. Somehow he must use SHADO’s resources to deal with both problems- but which has priority? You have to applaud the ambition of this episode which introduces a more mature, human side to the storytelling leaving the hardware to provide the backdrop rather than drive the plot. Till now Straker has seemed an austere character obsessed with logic and his job to the exclusion of all else. Seeing him taking his young son on a tour of the film studios, having fun, is quite a revelation especially in the light of what will happen later. It is a delightfully normal sequence to discover in the midst of the usual stuff. Inevitably perhaps, matters will cloud over in what proves to be the strongest episode of the series yet. "Doesn't anyone like the red chairs?" An unexpectedly considered and atmospheric film, Beautiful Creatures avoids slipping into enough of the supernatural genre clichés to warrant attention though the teenagers it is designed for may feel a little bored by all the talking. In an isolated Southern town 17 year old Ethan Wate (Alden Ehrenreich,lively) has been dreaming of a girl he’s never met when all of a sudden she shows up. 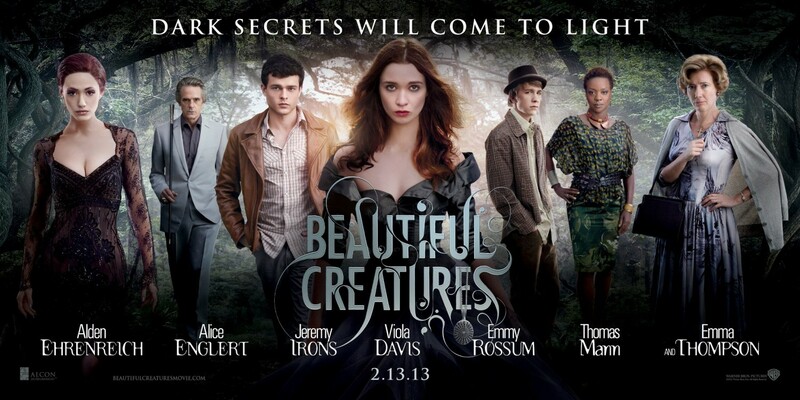 It transpires Lena Duchannes (Alice Englert) is the niece of Macon Ravenwood (Jeremy Irons, struggling with his accent) who lives in the big old overgrown estate where nobody goes. Yet Ethan falls in love with her despite the fact she causes windows to shatter and her uncle’s idea of a welcome is dangerously disorientating. 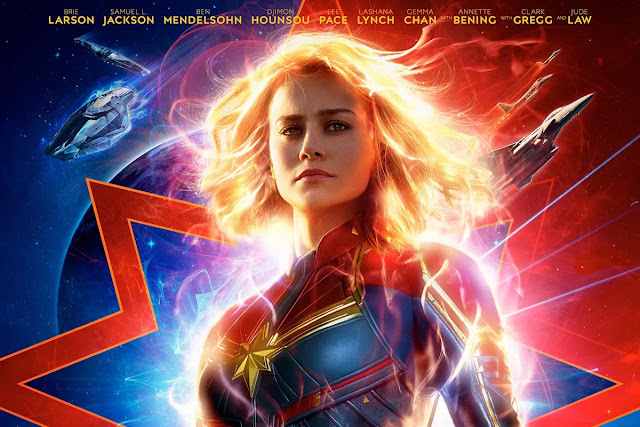 From this initially unpromising premise grows a film that keeps you interested across two hours by employing some wit, unusual set pieces and a dilemma for our heroine. 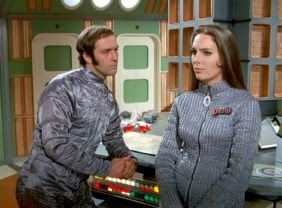 When the Moonbase communications are down with tragic results, SHADO blames equipment operated from the private research company Dalotek who are operating nearby. But is there another force at work? Despite the unpromising title, this episode is one of the better ones to far even if it slowed down by too much technical dialogue. Ruric Powell appears to specialise in ideas that spin off from ordinary things. Last week’s discussions on refuse collection are replaced by this week’s ones on interrupted radio signals as Moonbase’s video screens suffer the sort of interference familiar to 1970s viewers’ old style analogue television sets. Perhaps Powell’s domestic life inspired these scripts? Despite the seemingly trivial nature of the issue, matters build towards something more substantial. Had the production tried to be a little more covert in its revelations things might have been even better. Smartphones will soon do everything! It is odd to think that mobile phones started off as items of ridicule. They were the size and shape of a brick and only businessmen had them. In public places they would deliberately take or make calls to show them off. Now smartphones have become ubiquitous it seems as if we are only scratching the surface as to what they can be used for and there are regular predictions as to what some of those uses are likely in the next decade or so. It seems that there is very little they won’t be able to do. After his request to clear space junk is turned down and then a Moonbase ship appears to be destroyed because of the problem, Commander Straker takes matters into his own hands. Big pencils are the futuristic accoutrement we see a lot of this week. Whether flying through space or sitting in the control centre, no SHADO operative is complete without an outsized writing implement. Never mind all the computers sitting around- computers that can be switched off instantly and hopefully have some kind of back up- it’s a big pencil you really need. `Conflict` is a bit of a misnomer actually; they should have called this episode Authority because it’s about the use of it and shows just how much Straker has compared to his boss. General Henderson can't wait to swivel his chair and go "Weeeeeee!" 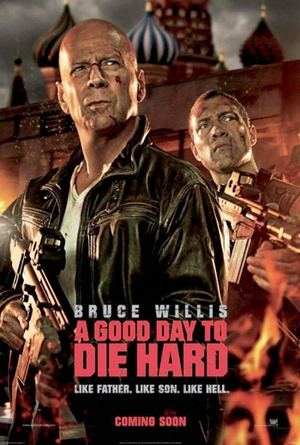 A Good Day to Die Hard is ridiculous fun! Crunch! There goes an enormous lorry crashing into some concrete. Kaboom! That’ll be the very old building exploding in a huge conflagration. Splatter! Another round of gunfire takes apart some vintage chandelier. A Good Day to Die Hard is a cartoon that has come to life – enormous fun but totally ridiculous. If any real person went through what John McClaine and his son, er, John McClaine (aka Jack) go through in these packed 97 minutes they would not survive. Yet at the very end, after variously being shot at, stabbed, crashing various vehicles, falling through, over and down various locations, the two sport some cuts and bruises! Spin off series rarely succeed in the same way as their parent. By their nature they are already familiar and often try to reproduce the same magic that made the original series so well liked. Lewis grew from the popularity of Inspector Morse whose deliberate slow style it copied. However whereas Morse episodes unfolded with puzzle like dexterity, Lewis often seems to merely plod. A number of the stories do not really contain enough plot elements to sustain the running time and when they split the last season into two part stories it actually slowed things down further exposing the treading water that fluffs up the middle. 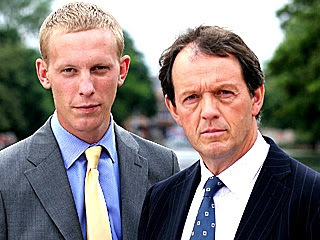 Where Lewis does succeed though is in its two central characters who are likeable, gel well together and make even the most long winded plot watchable. "Sir, we appear to be stuck together"
Cinemas have come a long way from incredibly poky velvet lined seats, cheesy local adverts for Stan’s Chip N Fish shop and the ice cream interval. What did happen to all those trays the girls used to bring the ice creams in on? Nowadays the experience is sleeker, more airbrushed. 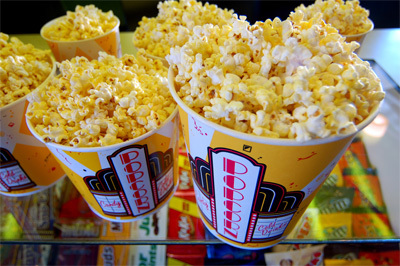 There is little glamour to be seen from cinemas in the 2000s. Whereas they once rejoiced in monikers like the Roxy, the Gaumont which sound like places you would want to visit they are now just blandly named Odeon or Cineworld. 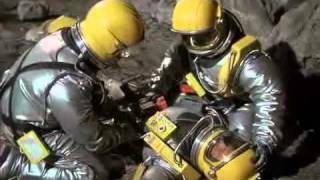 After an attempt to capture a UFO on the Moon goes wrong, Foster finds himself stranded on the lunar surface. There’s really very little to this episode. The aliens again hatch a half-baked plan; this time they land on the Moon during a time when they cannot be detected and one of them fires a bullet that pierces a window. Instead of retreating at this point, or firing some more, the aliens seem to hang around for days. 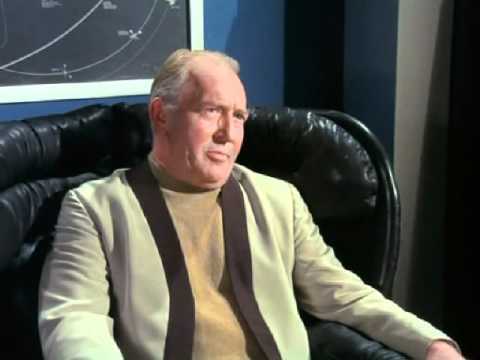 So, when Straker turns up to supervise a mission to capture the parked UFO, the alien still seems to be wandering around on the Moon surface. Perhaps he’s looking for Tesco? It’s all curiously uncommitted as if even the actors involved can’t quite work out how concerned they should be looking. "Please don't take me back to wear that silver suit.."
Why do we keep building more shops? The one consistent message we are getting from those people who spend their lives predicting what will happen is that the decline of the High Street is well underway. The evidence is there for us to see- over the past five years plenty of well-known big chains have closed or been through an administration process that has left them a shadow of their former selves. At the same time, with far fewer headlines, a lot of specialist and local businesses have also disappeared. There is probably no high street in the country without a number of vacant units. The question then has to be- why are people still creating new shop units? The passage of time has lent Abraham Lincoln’s distinctive visage more of a comedic air that has been exploited in all manner of films from Bill and Ted to last year’s cinematic addition of vampire slayer to his attributes. If we acknowledge the real Lincoln at all, it is as an austere figure largely forgotten by those of us living outside the United States and possibly even by many living there, despite his undoubted achievements. Is Steven Spielberg the director to re-plant seeds of enthusiasm for the man? After all the filmmaker can be an arch manipulator who rarely allows a story to run free. 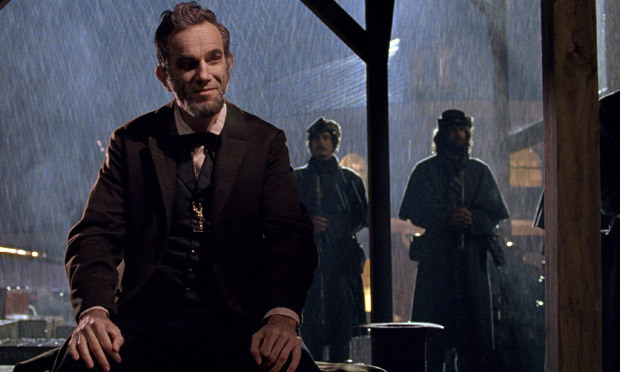 Is Daniel Day- Lewis, the ultimate method actor really the best person to portray the esteemed President? While there is no doubting the actor’s willingness to disappear inside roles, there is a risk we will end up marvelling more at his achievements than those of Lincoln. Thankfully Steven Spielberg’s film is not like that at all as it pulls us into the world of a crucial moment in American politics at a considered, detailed pace. Despite the star names, this could be an indie film sparing us the battles to draw us into the dialogue instead.